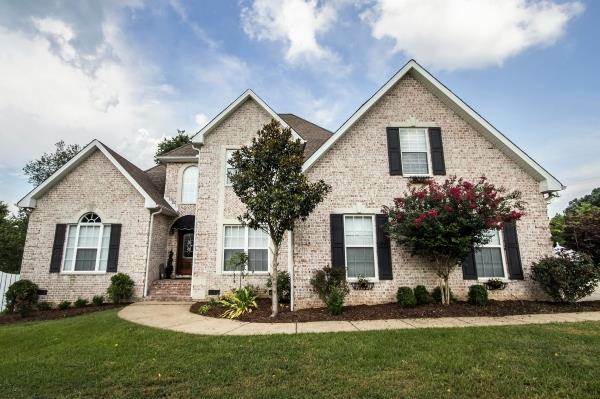 Beautiful all brick home on quiet cul de sac lot that backs to farm. Soaring ceilings, lots of light, real hardwood, not engineered, triple crown moldings, granite in kitchen, master bath, and 1/2 bath, stainless steel Whirlpool appliances, double ovens, walk in pantry, floor to ceiling stacked stone wood burning fire place, fire pit, tons of storage, and MORE! Natural Gas was recently installed in neighborhood. Directions:From Nashville, I-40 exit # 182 (Hwy 96). L towards Fairview, R on Northwest Hwy, R into subdivision on DonaldWilson Dr., L on Polston Ct.
SchoolsClick map icons below to view information for schools near 7207 Polston Ct Fairview, TN 37062.